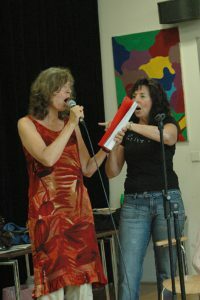 Free Vocal Coaching for all my dear singers and all those who would like to be a great singer. 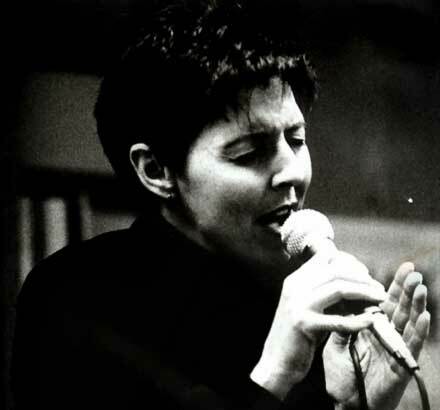 For over 30 years I have been teaching Singing and Speaking in Workshops, Seminars, Courses in universities as a Vocal Coach in Jazz, Pop and Blues and teaching people how to speak with more conviction and clarity. I never give up to be amazed how people change their personality when they start to sing. They become more confident, more ready to step out of their comfort zone. Their voice has more quality, more sound, stronger. There are so many ways to improve your speaking voice and your singing voice, get more strength in your voice, better articulation, being able to project and becoming more who you are. You are your voice. The ability to use your voice has become more and more important especially in the online community to be able to present your products and influence your listeners. The same goes with singing as speaking is the basis of singing. It has become a necessity to acquire professional success in business and in your private life, to be able to use your voice properly. And a beautiful singing voice allows gives you more joy and contentmet. People who have taken part in my courses can testify in over 350 Testimonials to their development, musically, personally and business wise. 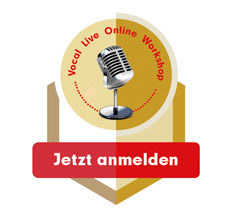 Today I am offering 50 free Mini Vocal Coaching Sessions on the platform Zoom. You would like to present your topic or sing with a band or on stage but feel insecure with your voice? You would like to become more confident, more convincing, with a stronger, more beautiful sound in your voice? You would love to be able to speak or sing without fear? You would love to be able to speak without a text in front of you? You would love to get up on stage and not die from heart attack? You would love that people really listen to you? In maximum 30 minutes, you will get a strategie how you can achieve all this. I would like to find out how I can help you improve your voice. Register today and reserve your place. The registration is only until the 7 of March possible.